HDTV Supply, Inc and VideoStorm LLC have teamed up to offer an AV over IP Home Matrix System based upon VideoStorms NetPlay Android Engine for use in residential installations. HDTV Supplys implementation of the NetPlay Home is a BYOH (Bring Your Own Hardware) network based AV over IP system that runs on either an Android or an Android TV OS (5.1.1 or later). Because NetPlay Home is a BYOH system, you can use the Android streaming media box of your choice at each TV like an Amazon Fire TV. NetPlay also supports cloud control, has Alexa integration and IrUSB. This gives full IR remote control support including the ability to control the system and all sources with any IR remote control. What are some of the verbal commands that can be used with Alexa? 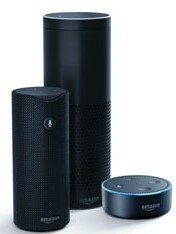 The Alexa skill function needs to be enabled is "NetPlay" and then "Alexa, discover devices"
HDTV Supplys implementation of NetPlay Home introduces a concept which enables consumers to select their own playback devices. Popular players such as Amazon Fire TVs or Sony TVs running the Android TV OS are integrated into NetPlay Home through the NetPlay TV app. HDMI sources are added using low cost WolfPack™ HDMI encoders. NetPlay Home will also connect with all your existing sources, such as IP cameras and media libraries. A NetPlay distribution system is a "virtual matrix" switch meaning you can add as many sources and displays as needed only limited by the number of ports on your Ethernet switch. Because NetPlay is a "decentralized" system, your sources do not need to be grouped together in a single location. 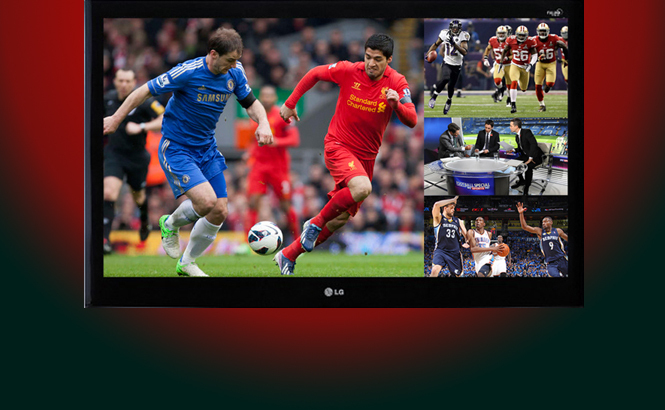 Watch all your video content (live HDMI source, network streams, file libraries, IP cams, etc) on TVs or mobile devices. Wiring can be via any combination of Ethernet technology. Cat5/5e/6 is the easiest and should be used whenever possible. For retrofit application, you can use existing RG59/RG6 coax via MOCA Ethernet over coax. Wireless Ethernet should be used as a last resort, since interference can degrade picture quality. NetPlay video streams are ~20Mbps each. NetPlay Mobile devices will use wireless Ethernet, but at lower data rates. NOTE: If you have a Sony or Sharp TV running the Android TV OS you do not need the Amazon Fire TV for that TV as the NetPlay TV app will run natively via the TVs Ethernet connection. The network switch or switches will need 1 port for each NetPlay TV display and 1 port for each network HDMI encoder. Switches can be cascaded as needed, but make sure the interswitch connections are 1000mbps. NetPlay can use the same network as all the other devices in your home. Alexa integration for NetPlay and IrUSB FAQ: After setting up your NetPlay or IrUSB devices and creating a NetPlay Cloud account, just enable the "NetPlay" skill and then say "Alexa, discover devices". Why not buy this AV over IP System today? The AV over IP NetPlay Mobile app enables users to control sources and TVs while viewing the content on an Android tablet or smartphone. Features include preview, tiling, and digital signage such as transparent graphics overlay, RSS feeds, text, etc. This AV over IP NetPlay Mobile appoffers an alternative to expensive control solutions that require intensive programming and setup effort. It provides flexibility and ease of operation, making it intuitive for customers to learn. NetPlay Mobile Streaming technology features video and audio playback synched and latency matched to displays in a NetPlay system. This is full-screen mobile streaming through the app to Android devices that users can take anywhere on a NetPlay Wi-Fi network. Black steel enclosure. 3.7" x 3.5" x 1"
You will need 1 IRUSB cable for each source device and TV in your NetPlay Home system which needs IR control. IRUSB connects to the USB port on CastHD for sources. IRUSB connects to the USB port on FireTV or other Android streaming media boxes for display control. Q: Where can I get on-line support? Q: How do I setup an AV over IP NetPlay IP Camera System? A: Your network cameras can integrate directly into NetPlay as normal network sources. It doesn't matter if you have 1 camera or more than 100! You can view them all on any of your NetPlay enabled TVs. NetPlay supports up to 4K resolution cameras for full screen display. Substreams are also supported for Tiled display and PIP overlays. Netplay features IP control of cameras with the PTZ (pan/tilt/zoom) functions. Simply use the onscreen controls to move the selected cameras. Camera Motion controls can trigger NetPlay Macros. Pop up a PIP overlay window with the camera feed whenever the event is triggered (including automatic resume timeouts). Q: Can I use gaming boxes with this AV over IP System? A: Xboxs, PS4s, etc would not be recommended sources because the distribution latency is impractical for gaming. A FireTV itself provides gaming options at each TV. Dedicated gaming boxes should be directly connected to the TVs or used with non-network matrix switchers. A: NetPlay integrates powerful digital signage and web info feeds seamlessly with network video. Easy switch between signage playlists, graphics overlays, web info feeds, and all your other NetPlay Video sources. SplashTiles brings the best the internet has to offer straight to all your TVs! Your personalized information feeds can keep you up to date at a glance. More details in our setup instructions. SplashTiles can even pop up alerts, notifications, or weather radar as PIP windows over whatever you are watching. NetPlay Digital Signage is everything you need for commercial applications. 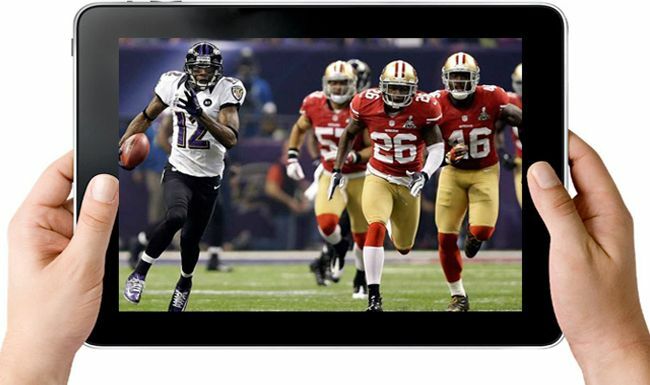 Unlike the competition, NetPlay can transparently blend your graphics ON TOP OFF your video sources. Now you can add logos, specials, menus, and more without needing to dedicate entire TVs. Make sure ALL your customers see your message with NetPlay Digital Signage! See the SplashTiles Video and see more at NetPlay Commercial Promo Video. HDTV Supply includes a 1 Year Limited U.S. Warranty on this AV over IP System. The U.S. warranty states that (a) its AV over IP System will perform substantially in accordance with the accompanying written materials for a period of 1 year from the date of receipt & (b) that the Product will be free from defects in materials & workmanship under normal use & service for a period of 1 year. In order to get a warranty replacement for a defective AV over IP System, HDTV Supplys Support Team will verify the product is eligible for warranty. An RMA number will then be issued. Shipped AV over IP System replacements will be in like new conditions, tested & all components included. A 30-day RETURN also comes with this warranty as well as Free Lifetime Tech Support. HDTV Supply also sells a 3 and 5 Year Extended U.S. Warranty for this AV over IP System. Please go to Extended Warranties or see the above Options to purchase it. Here are 2-Google Play Android Apps to help in the control of your NetPlay Home AV over IP Network system. NetPlay TV is part of the NetPlay Home whole home video distribution system. NetPlay TV transforms your Android TV into a live HDMI streamer, allowing you to watch and control all the video sources in your home at every TV! NetPlay Mobile REQUIRES an installed NetPlay AV distribution system and any mobile streaming license. NetPlay Home AV over IP uses your standard home network for audio and video distribution. NetPlay Home integrates Ethernet, IR, RS232, and CEC control for all your connected source and display devices. This control is provided either via NetPlay Mobile app on your Android Mobile devices or directly at each TV using the NetPlayTV gui itself and the included remote controls. In fact, both control methods can be used at the same time by different users. NetPlay TV devices with USB ports can use IRUSB to provide direct IR control of the attached TV, speakers, or AVR. CastHD can use IRUSB to provide direct IR control of your HDMI source devices. NetPlay Home can also be integrated in third party control systems using our existing drivers. Wiring can be via any combination of ethernet technology. Cat5/5e/6 is the easiest and should be used whenever possible. For retrofit application, you can use existing RG59/RG6 coax via MOCA ethernet over coax. We recommend the ActionTec ECB2500 adapters. Wireless ethernet can be used as a last resort, since interference can degrade picture quality. NetPlay video streams are ~20Mbps each. NetPlay Mobile devices will use wireless ethernet, but at lower data rates. NetPlay Home HDMI distribution: A NetPlay distribution system is a "virtual matrix" switch. You can add as many sources and displays as needed. Because NetPlay is a "decentralized" system, your sources do not need to be grouped together in a single location. Live HDMI Sources: NetPlay Home uses network HDMI encoders to bring all your "live" HDMI sources into the matrix system. This will be any source device with a HDMI output that does not fall into the directly integrated categories below. Camera Sources: IP cameras and most NVRs can be directly integrated in the matrix system without needing VTX encoders for these. File Sources: File sources such as movie and music libraries can also be directly integrated in the matrix system. Both video and image sources or playlists can be used. Web Sources: Web sources such as web pages or data feeds can also be directly integrated in the matrix system. Full support for HTML5, WebGL, and embedded iframes. Streaming Services Sources: NetFlix, Amazon Video, Vudu, Hulu, and nearly all streaming services are directly supported as Apps running on your NetPlay TV devices. Any service which has an Android app is supported. HDHomeRun Sources: Low cost HDHomeRun devices can be used to integrate over the air (OTA) broadcast and cable tv (cable card) content directly into the matrix system. GoogleCast / ChromeCast Sources: All supported NetPlay TV devices include support for GoogleCast/ChromeCast. Either audio or Video can be directly streamed to any display from Android devices. Android TV Displays: Sony and Sharp TVs running Android TV can integrate directly with NetPlay Home without requiring any additional equipment. NetPlayTV will run natively on these TVs. Standard TV Displays: Standard TVs will use an external Android or Android TV device (running NetPlay TV app) to provide audio, video, and control to the TV via HDMI and optionally IR. Many popular devices are compatible with NetPlay TV, including Amazon Fire TV, nVidia Shield, and more. Mobile players: Mobile devices (such as tablets and smart phones) can play back NetPlay video sources directly. NetPlay Home NetPlay Manager includes the required license for control and video preview on all your mobile devices. Full screen playback on mobile devices requires a supplemental license purchase. NetPlay Home audio distribution: Your NetPlay Home display devices will receive synchronized audio via the same network stream as the video. This audio is always present on the HDMI output, but some devices may also have optical or analog outputs. Simply route the audio to your TV speakers or AVR just like any other source. If you are using a "centralized" audio solution with in-wall/ceiling speakers that are hard wired back to a central equipment rack, please use NetPlay Pro residential guidelines. NetPlay Home uses your standard home network for audio and video distribution: The network switch or switches will need 1 port for each NetPlayTV display and 1 port for each network HDMI encoder. Switches can be cascaded as needed, but make sure the interswitch connections are 1000mbps. NetPlay can use the same network as all the other devices in your home. The network router will need a DHCP server enabled (this is default on nearly all routers). The network switch ports connecting to network HDMI encoder devices should be 1000mpbs capable. The ports for NetPlay TV devices should be 100mbps or higher. Most switches support both speeds. All NetPlay devices should be on the same subnet if possible. If this is not possible, routing rules must exist between the subnets. VLANs are not required or recommended. Devices should have access to the internet for app updates or cloud streaming.